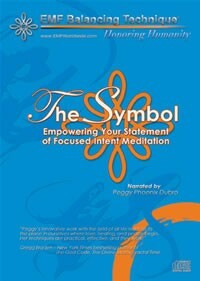 Peggy joyfully presents this new meditation filled with the energy of love. This meditation initiates the next resonance of transformational evolution within your Lattice to strengthen your energy of Self direction and Self support. It is designed to encourage and nurture the choices and intents you make in your daily life. You are energy, timeless, and infinite! Are you ready to manifest the next level of freedom in your life? Peggy Phoenix Dubro is a distinguished international speaker and teacher whose diverse talents have gained her a worldwide presence in the arena of "new thinking". Over a period of twenty-two years, she has developed the EMF Balancing Technique®, an elegant and sophisticated form of energy work that is now practiced in more than 70 countries. Documented benefits from working with the EMF sessions include profound peace, stress-reduction, mental clarity, increased vitality and rejuvenation, physical regeneration, greater mastery in one’s life, improved relationships and overall well-being. The range of benefits is unlimited as we learn to hold and express our greater charge.